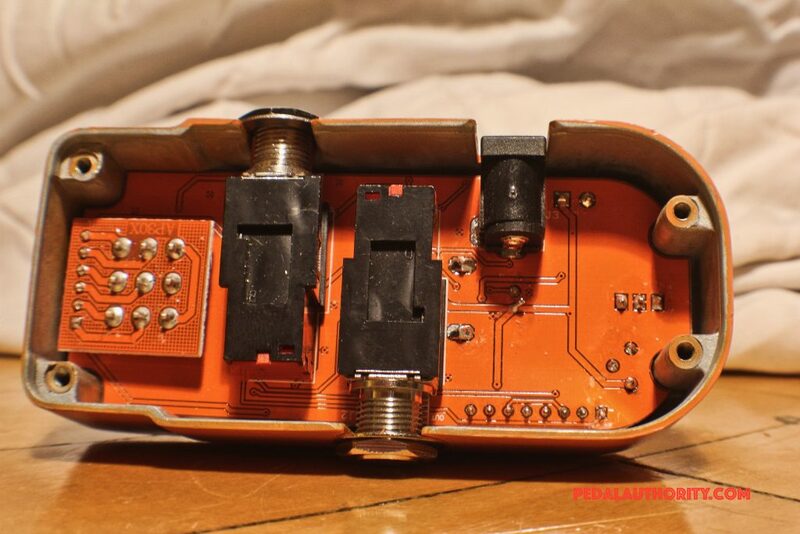 Azor is one of a multitude of Asia-based companies that have been giving some of the more established pedal companies a run for their money. At the beginning of this year, Azor released a whole line of mini pedals, and we got our hands on a few of them to see how they compare to some of their Western counterparts, as well as how they compare to offerings from the slightly more established Asian companies like Mooer and Joyo. 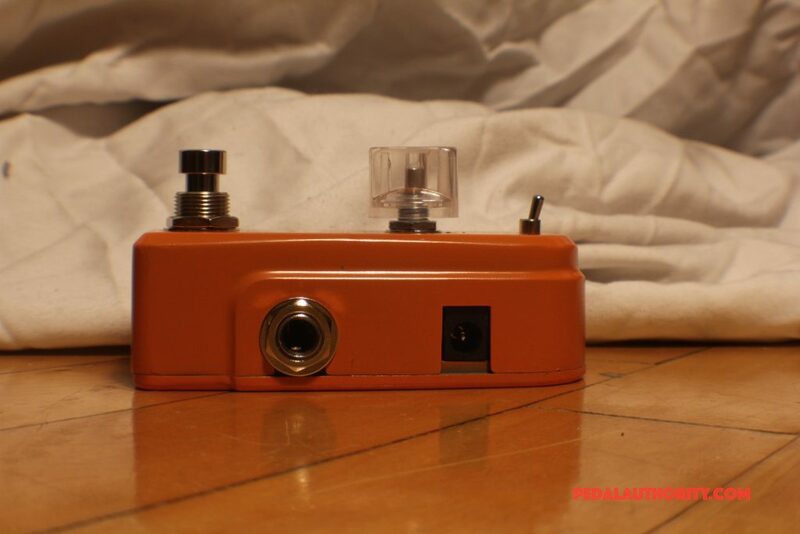 Among their new line of mini pedals is a noise gate, appropriately called The Noise. (Or maybe not appropriately, since this pedal doesn’t bring the noise, but rather stops the noise). Once confined to the studio and high gain realms, noise gates have become increasingly popular as pedalboards continue to grow. To put it simply, more stuff in your signal chain means more noise coming out of your amp. And not just the good kind. Hiss, hum, and squeals can often be the result of having a fully loaded pedal board, and are always a quick way to kill the vibe of your set. Quickest way to fix this? Noise gate. 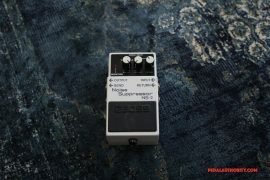 There are generally two styles of noise gate pedals on the market currently: those with two ins and two outs, like the Boss NS-2; and those with one in and one out, like the popular Decimator. Which type is best for your rig will depend on whether you use your amp’s FX loop, if your amp have an FX loop, and your general preferences when it comes to pedalboard layout. The Noise by Azor falls into the latter category, and provides a significantly less expensive alternative to the simplicity and ease of the Decimator and Fortin’s Zuul. The Noise is a one knob unit. Turn it down for less noise reduction, and turn it up for more noise reduction. One of the nice things about single knob gates is that it is insanely easy to tweak them on the fly. Perhaps you use multiple instruments in your set, and one happens to be noisier than the others. With a single knob unit like The Noise, you don’t have to worry about getting your attack and release ratios all messed up in a quick attempt to adjust accordingly, just turn the knob until you find the sweet spot for a given instrument and you’re good to go. It really is as easy as that. No frills, no messing around, just easy and clear. Instead of a second knob, Azor has opted to include a mini switch that allows you to toggle between Hard and Soft settings. If you think of the knob as the “threshold” control, then the switch provides a binary approach to the “decay” function. 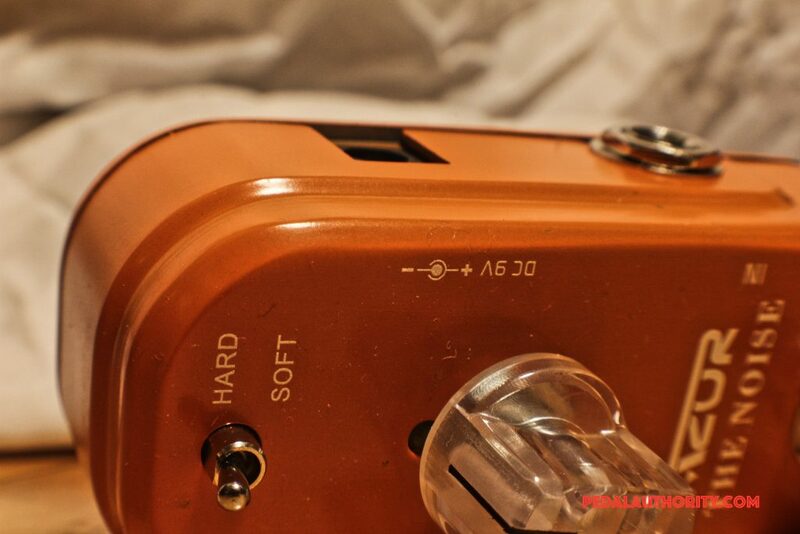 The hard setting engages a faster and more obvious cutoff, while the soft setting is gentler and less noticeable. Having the decay controlled by a switch can be useful if you play in a group, like a cover band, that alternates styles song to song. For all your hard rocking tones, you can flip the switch to hard to keep things crisp, and then lay back a little bit for those softer jams by switching back to soft. 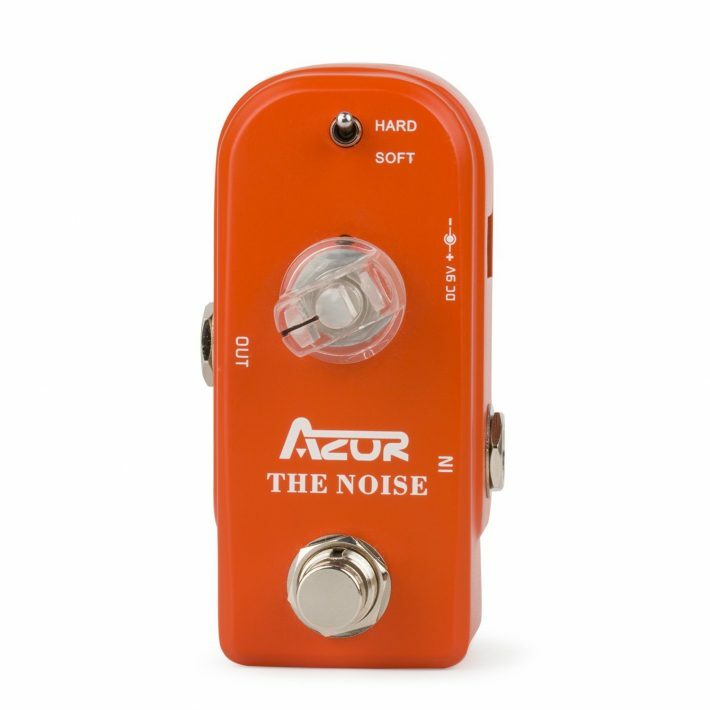 Its easy, and no frills, which may be too basic for the tech/djent crowd, but if you simply need something to kill that extra noise, Azor’s The Noise is a good piece of gear. Overall the sound is clear and rich coming through, and when the gate engages, it completely blocks out any sound from passing through. We tested it with clean tunes as well as metal riffs, and it holds up all the way across the spectrum. If that extra bit of hiss from your overdrive pedal has been killing your buzz, or you just want to get your feet wet with gates to see what all the noise is about, Azor’s The Noise is a good place to start. For the price of two tickets to the movies, you could do a lot worse.